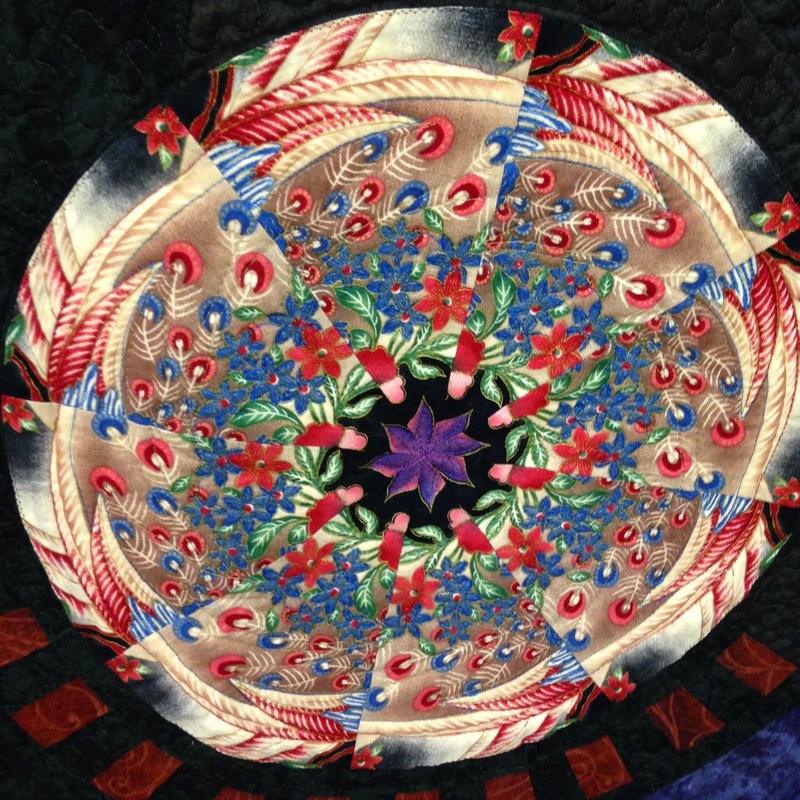 I used to post about Quilt Guild Tuesday when I went to the Brownwood TX Quilters Guild but now I'm going to the DeKalb County Quilters Guild so my posts will be Quilt Guild Thursday. I was pretty excited to finally get to attend one of their meetings. And I was especially excited to finally meet my new friend Julie. Julie reached out to me when I posted on their Facebook page that I was moving to DeKalb way back in November. She and I have been corresponding via Facebook ever since. She was a delight to meet. 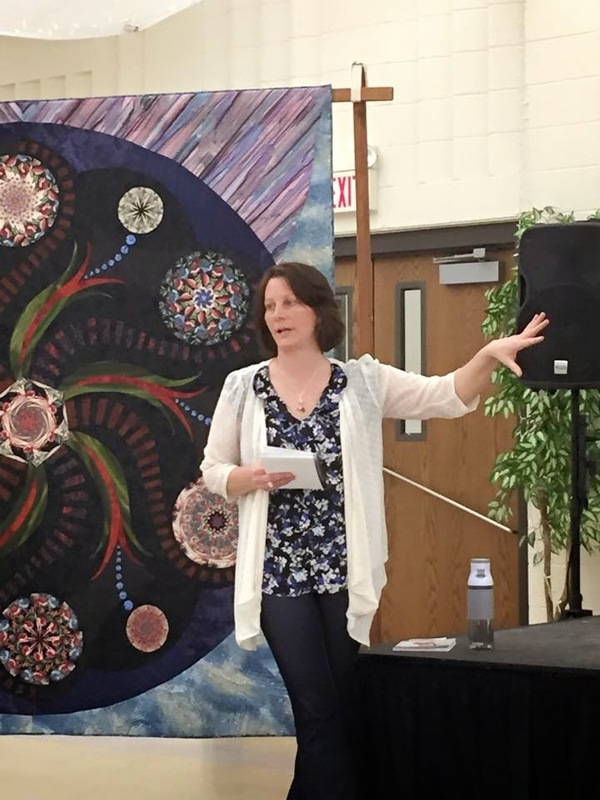 The evening program was presented by Nancy Baker titled "Life Happens and Quilts Result!". 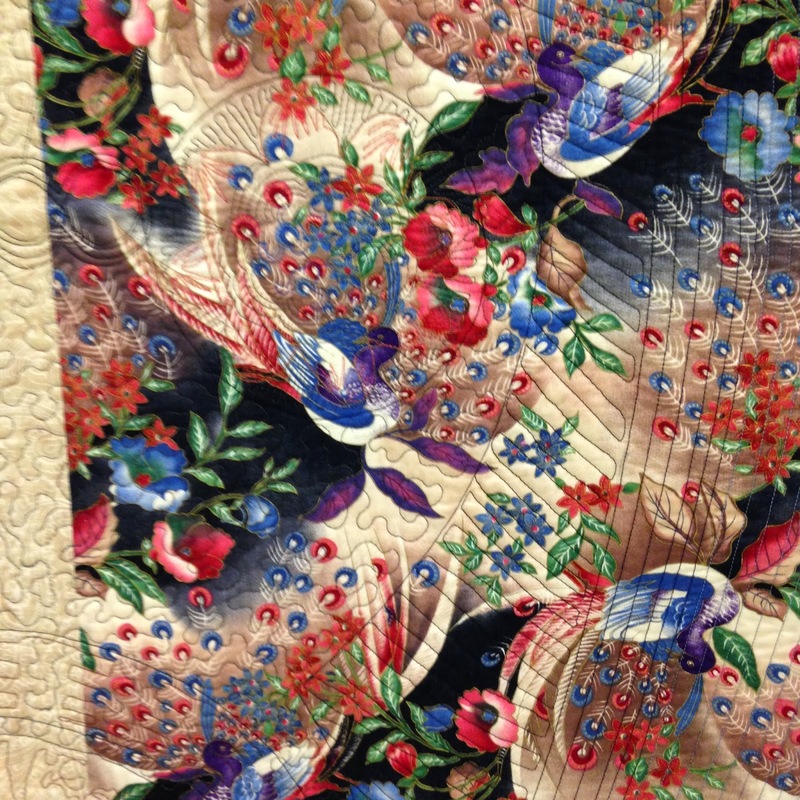 Nancy presented a trunk show of wonderful quilts from humble beginnings to award winning beauties. 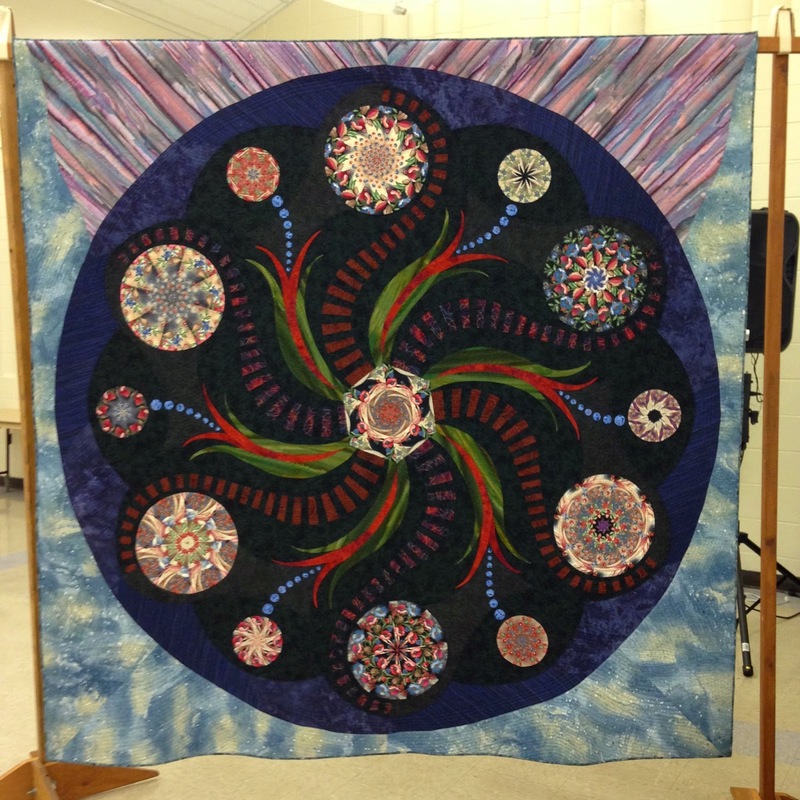 She shared her inspirations, spiritual journey, and creative path spanning 18 years on her quilting journey. 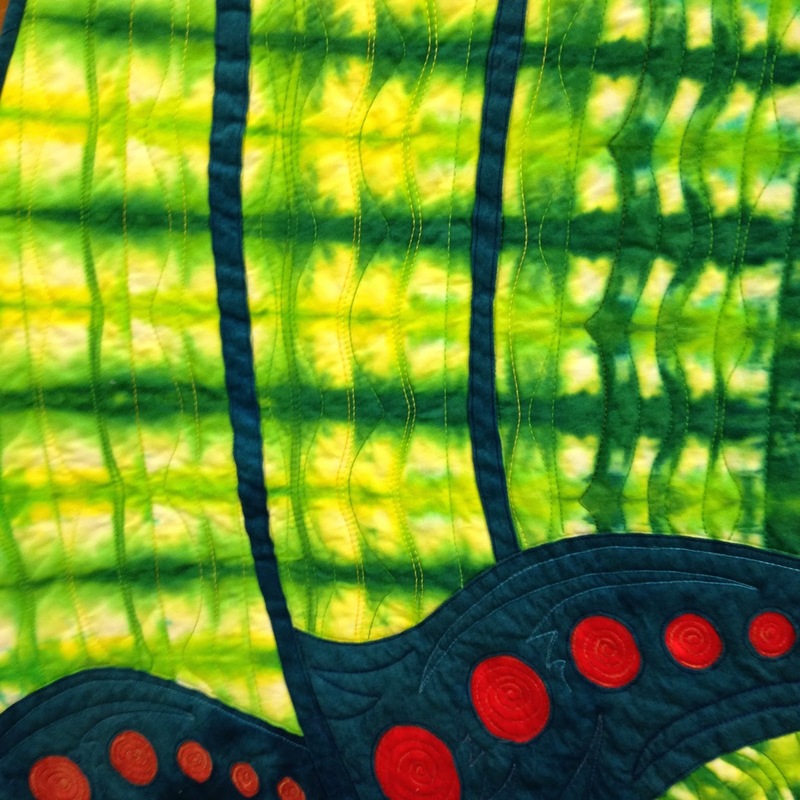 Nancy showed contemporary art quilts from small to large that radiated with curves and color. Absolutely stunning and inspiring! 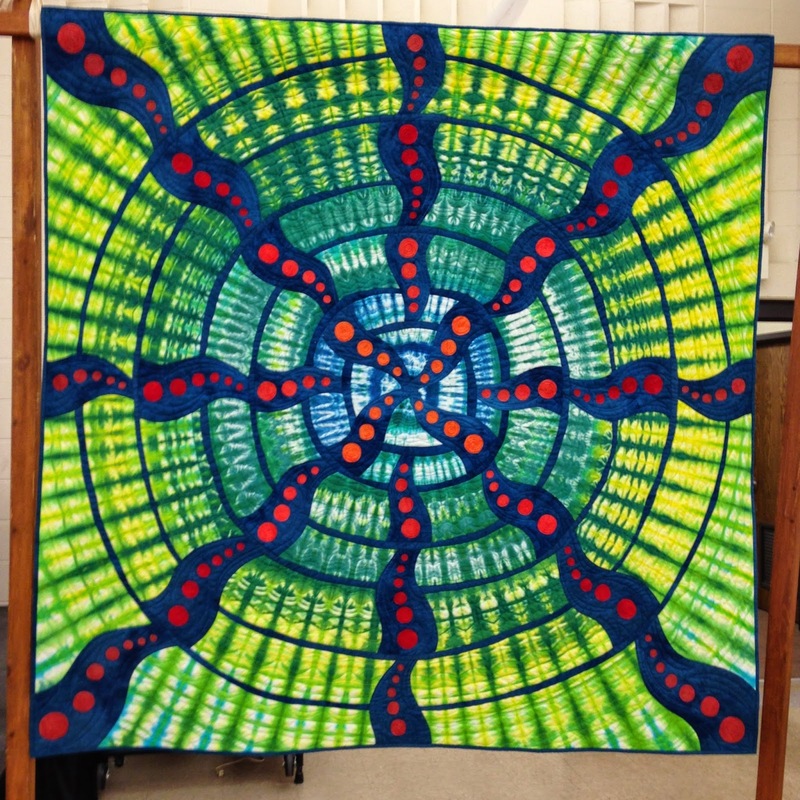 Her hand dyed fabric, 4 simple squares pieced in a large 4-patch results in a stunning quilt. 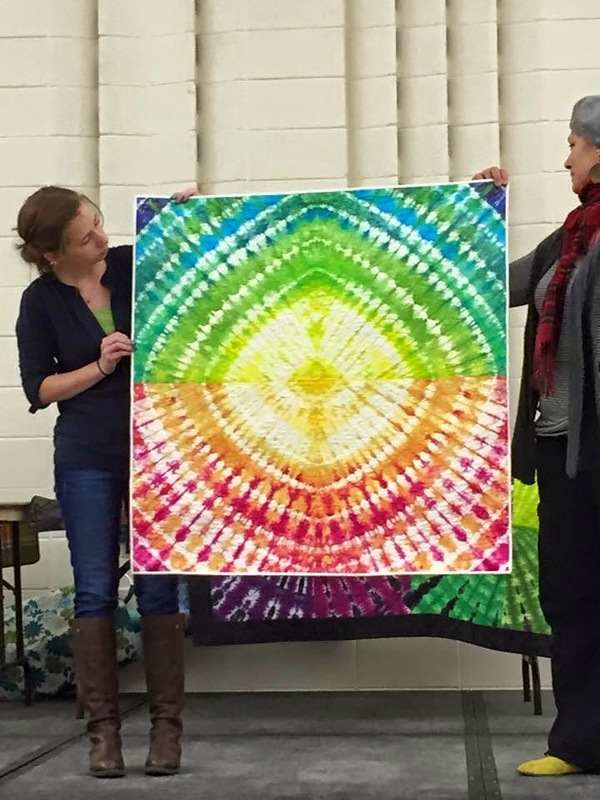 This quilt above was actually 4 different pieces of fabric dyed and cut into a triangle and then pieced in hour glass style block. 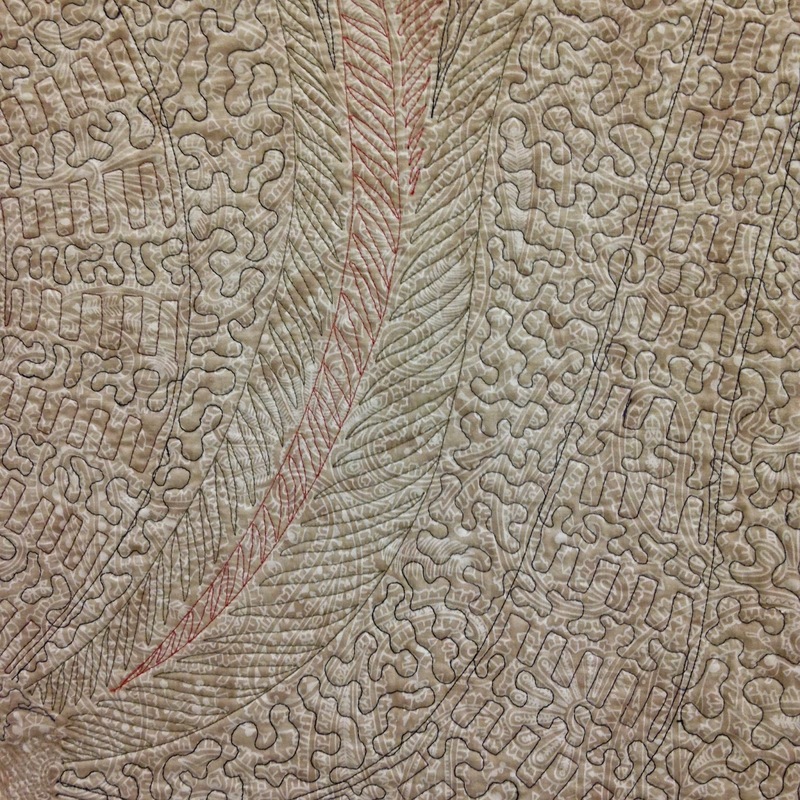 Then array lines (navy squiggly) are appliqued. 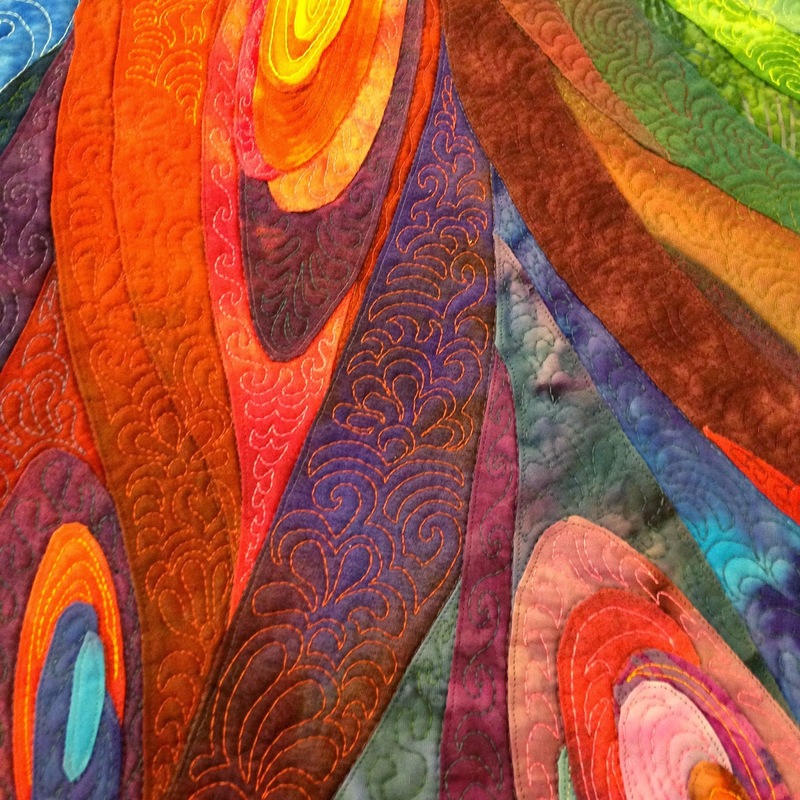 Again, a hand dyed square, pieced in a 4-patch and then four 4-patches set together. 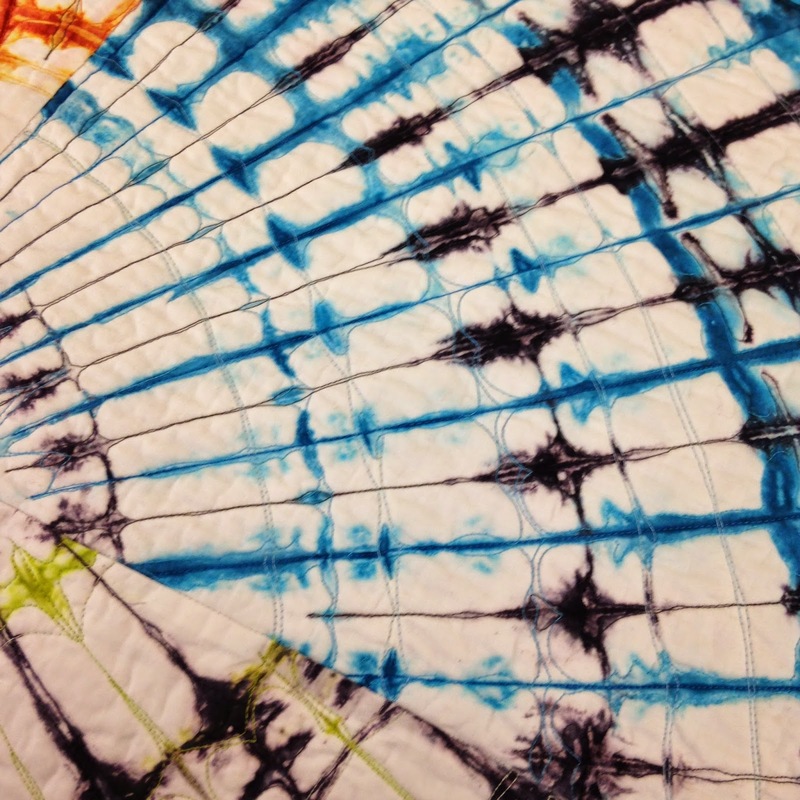 An up-close of the dyed fabric (she actually took the color OUT of this one). 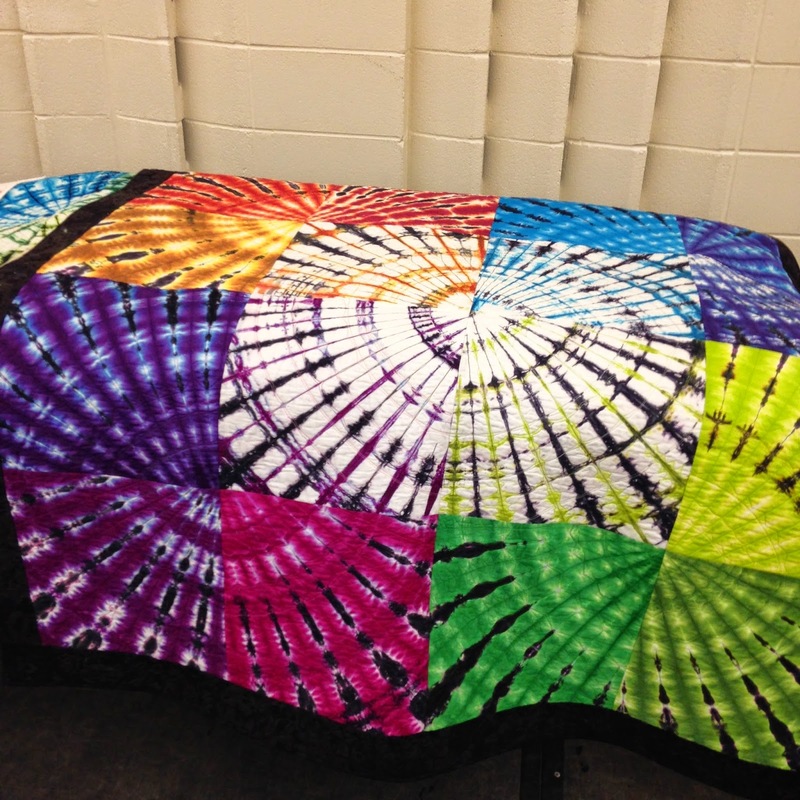 This quilt was a Stack n Whack challenge. 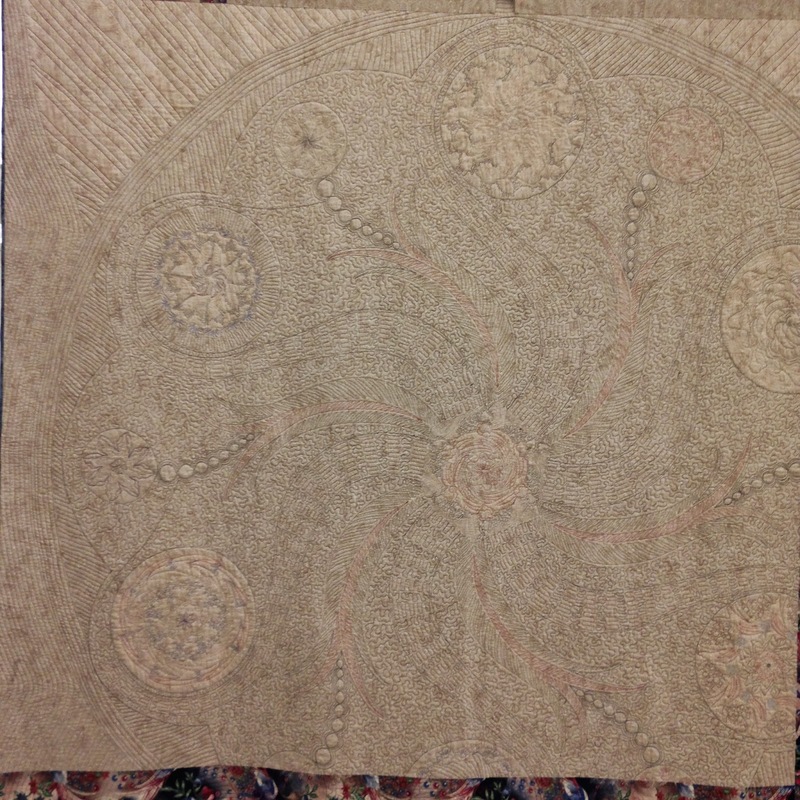 This was her focus fabric that she "stacked n whacked". 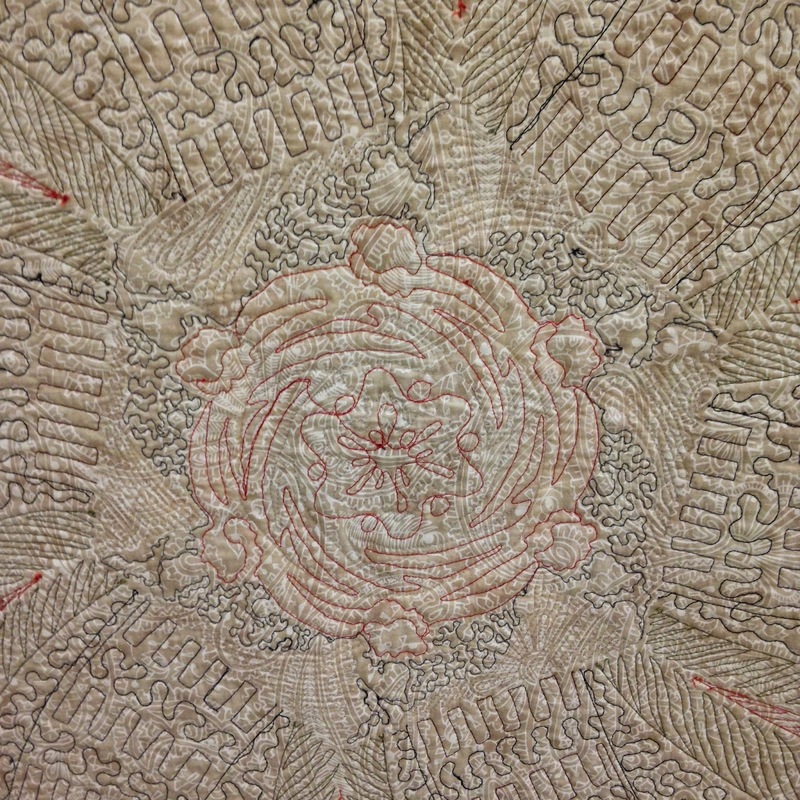 The back of the quilt was just as fabulous as the front. I didn't feel quite as "at home" at the meeting as I'm used to but I'm sure that will come with time. 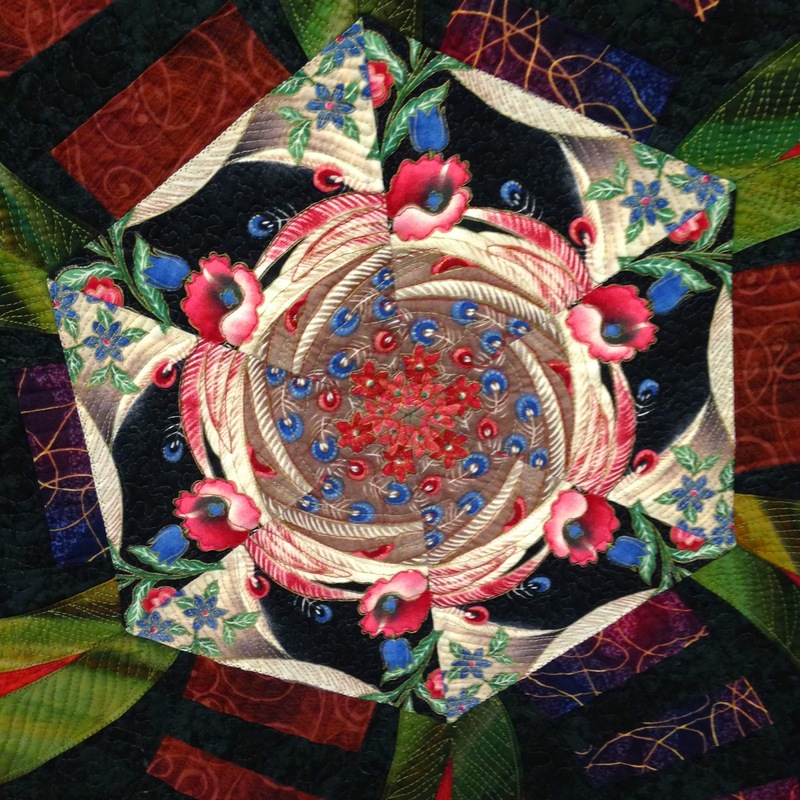 I sure miss my friends in the Brownwood Quilters Guild though. And yes, I'm still sorting and organizing and dealing with unpacking stuff. Do you think I'll ever be able to post without saying that. I can tell you it won't be anytime soon. 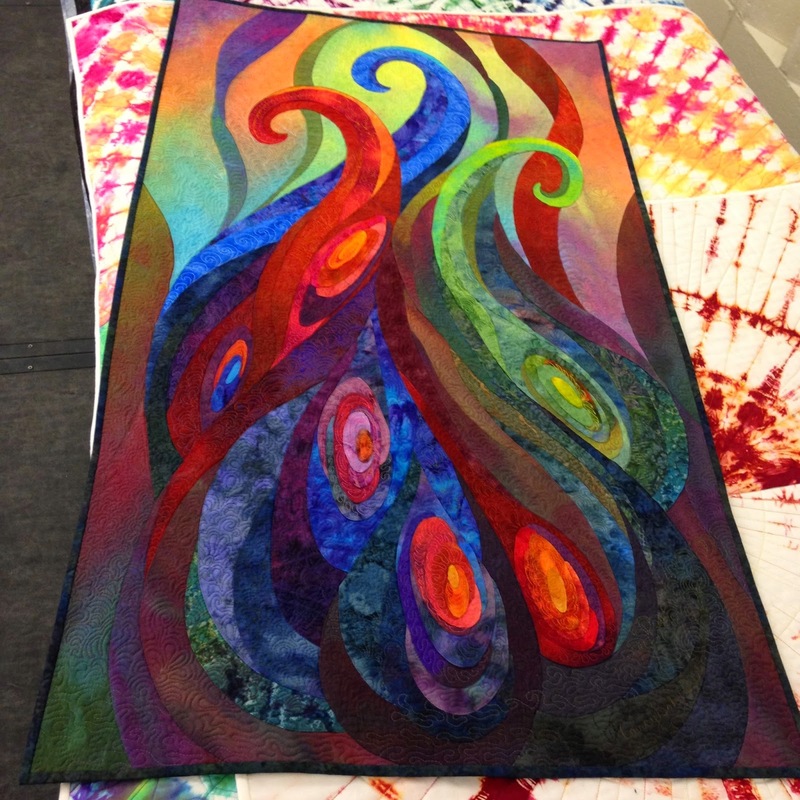 :( Saturday I'm off to Chicago to the International Quilt Show in Rosemont IL WHOO HOO!! !